I did all my research testing both the REST API and the Search REST API against this Test site. After having tested various REST calls, I then went and created a New Site Collection for the project we're to be working on. This is an actual Site Collection that isn't a Sub-Site of our main site. The Admin Center lists this Site Collection with the address of tenancy.sharepoint.com/sites/department name It has a Document App Library module installed with the same name of Publications. I added a document to the site, but when I execute the same REST API call it just doesn't respond. It doesn't time out, it just gives a white page. I'm able to successfully login. I'm able to conduct searches. If I enter: tenancy.sharepoint.com/department name It says that the login is successful. When I conduct a search the Connection section title turns red, and I get a 404 Not Found error. If I enter tenancy.sharepoint.com/sites/department name I'm able to conduct searches, but the results are pulling documents from the tenancy.sharepoint.com/sites/Test Site Collection, and nothing from the department's Site Collection is returned. PS: I have a lot of example urls above, and the site only allowed me to have a single link within the question. So I removed all the https from the URLs. For debug purpose, use the broswer console. 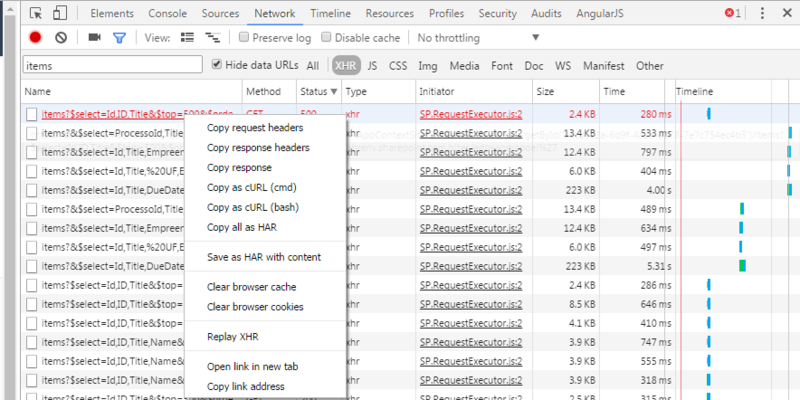 Identify your REST Call in the console's XHR tab. => your query is ok.
Right-click to open call in a new tab to see xml results on browser, or click to get the full information of it. click to get the full information of it. You can also run your REST call in the browser address bar to get a xml response. Not the answer you're looking for? Browse other questions tagged sharepoint-online search rest site-collection or ask your own question. 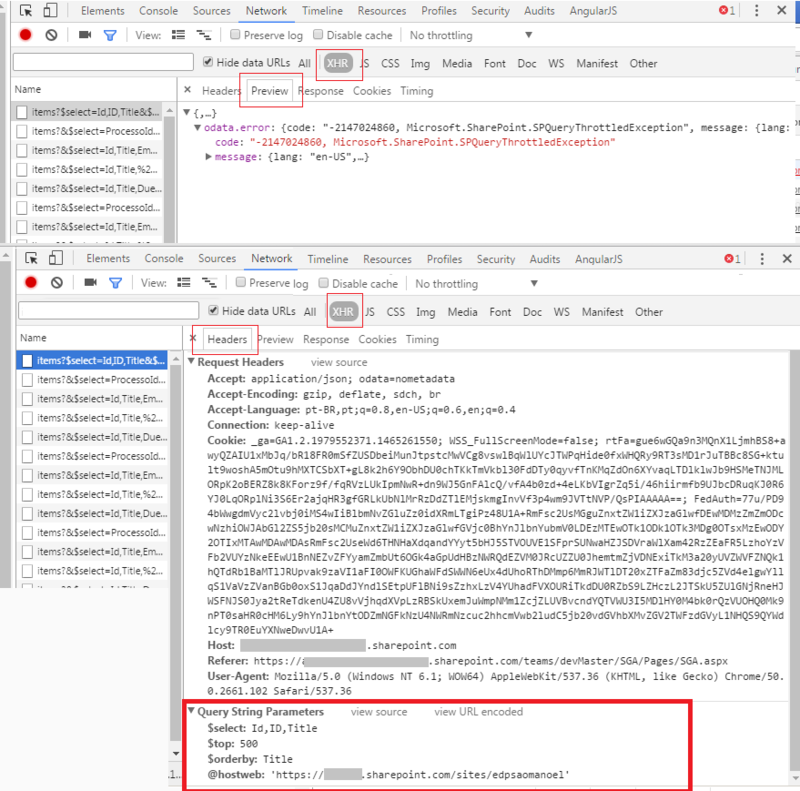 Why won't a Search REST API request not work on all Site Collections?